For the first time in a long time I have had the whole of Half Term off work. I have had lots of fun with the kids, we have crafted, watched films, been out and about and generally enjoyed time together! For this weeks Photo of the Week I struggled to pick one photo, I have had so much fun that I wanted to show case all we have done in the week, so here I have one photo made up of more than one photo! 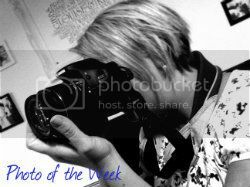 I am linking up with Team Lloyd’s Photo of the Week, head over there to look at more fab photos! Looks like some really good fun was had! You certainly managed to pack lots into your time off. So glad you had the fun time together! Great to see you outdoors enjoying some sunny cold park time. Looks like such a fun week !